Welcome to your design guide to marble flooring. You will find design ideas, tips, tricks safety precautions and even a few fun facts! Learning everything you need to know about marble was never so easy! Marble is a metamorphic rock and can take the place of many shapes and names. One of the largest uses is construction marble, which is used to create countertops, backsplashes, islands, and floors. Anything used in interior design in a home that’s marble, especially flooring will be made of construction marble. The difference between construction marble, other types of marble and the rock itself is the composition. Construction marble being made out of calcite and dolomite, or serpentine. Now here one may wonder why this matters, marble is marble, but the reasoning behind this type of marble is actually best for aesthetics. 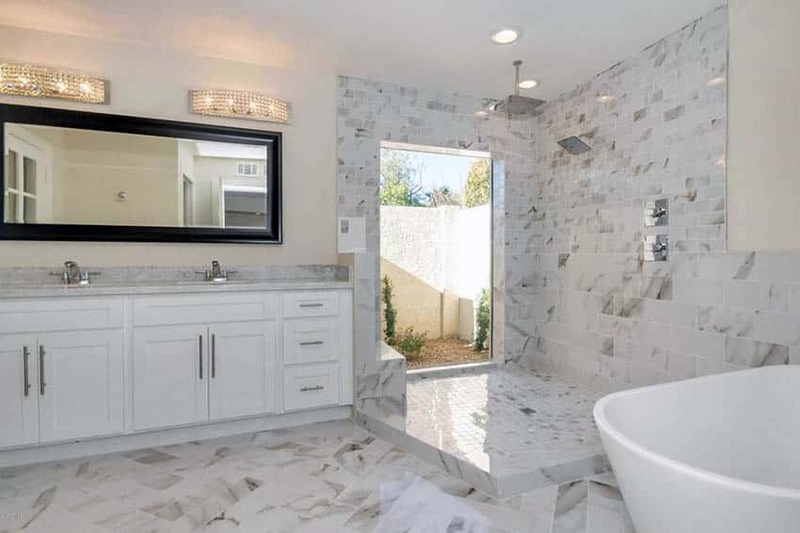 Being comprised of these minerals means it can be polished, so the homeowner can get slick, shiny surface that makes a home scream with beauty. Typically, marble is associated with wealth, fortune, and luxury as it was commonly used in palaces and great expensive works of architecture. This was made in part by the shiny expensive look it gave when polished. Therefore marble flooring can definitely bring some pizzazz to any style room. Marble flooring as all other marble uses has its pros and cons. Reiterating on marble countertops the flooring can come in a vast array of colors, including multicolored pieces. Since they are a natural stone, they are all unique, no piece is exactly like the next. Whether that is a pro or a con is completely up to the situation. Marble flooring will get this sort of glow to it which is why it is frequently used on sculptures. Unfortunately, as mentioned previously, marble is susceptible to staining and scratching. 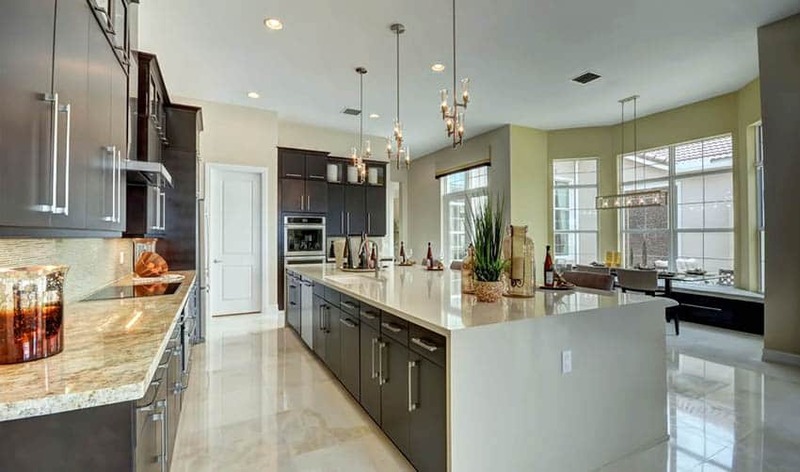 A very important factor to think about is that polished marble can become a slippery surface, especially when spilled water and kitchen juices are floating around. Don’t fret though this can be offset with rugs and mats. Maintenance is also something to take into consideration, sealing the marble is important to counteract scratching and staining. 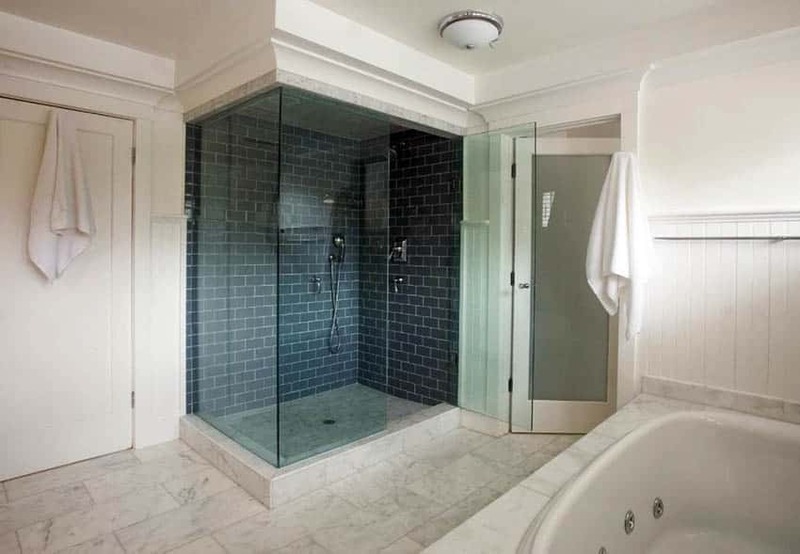 High use areas such as marble showers will require regular sealing to ensure their lasting beauty. This is a chore that will need to be completed every six to twelve months to keep its luster and protection. It’s recommended to hire a professional to care for your marble and keep it looking its best. A price to pay for the natural beauty of marble. When it comes to picking out flooring materials in general it’s all about options, options, options. Narrowing the selection to marble flooring was decision making enough, now there are more choices! There are literally hundreds of types of marble each with their own unique characteristics and looks. Luckily when it comes to marble there are three popularly used types that are frequently chosen for flooring. These include Carrara, Calacatta and Breccia. This is not to say that these are the only options, but when looking for ways to narrow it down these three are a good place to begin. Carrara- Carrara is a bit more of a classical marble that is a mainly white marble with smaller grey streaks. Calacatta- Calacatta is one of the more expensive pieces one can get. This is because it typically uses the purest whites with vibrant streaks. It is popular for entryways in offices and luxury homes where one can make a great first impression. Breccia- Breccia is a rock that consists of angular fragments that are cemented together. This is a big part of its appeal, giving it a loose gravel or veiny look depending on which piece is selected. These tend to be darker, more natural colors. Marble floor tiles are an elegant flooring choice with everlasting appeal, with great popularity. With that there are a few things that need to be known before they are chosen for any kitchen. Pros – Marble flooring is absolutely stunning, they scream class and sophistication. Historically marble is a sign of wealth and luxury, and were frequently used by royalty and in expensive architectural buildings. Marble is available in an array of colors and shades. As described later, the things you can create with marble are endless and this is done by its ability to mix and match the colors in the stone. The beauty is only enhanced by its translucency, allowing light to make the floors positively glow. This makes marble so unique along with the fact that, due to it being a natural stone, no piece is exactly alike. In addition to the appearance aspects of marble, it is also an extremely dense stone that can take quite a bit of traffic. 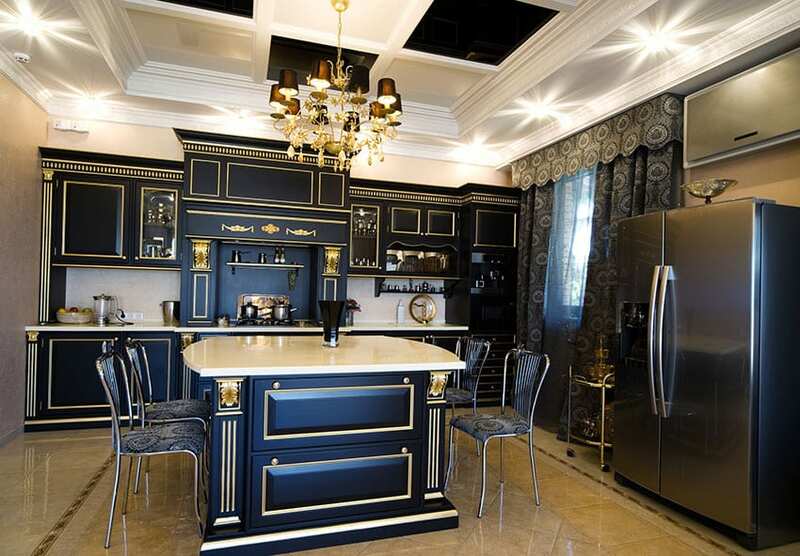 This will make it a very good choice for a high traffic kitchen. Cons- Unfortunately with every pro list there must be a con list. 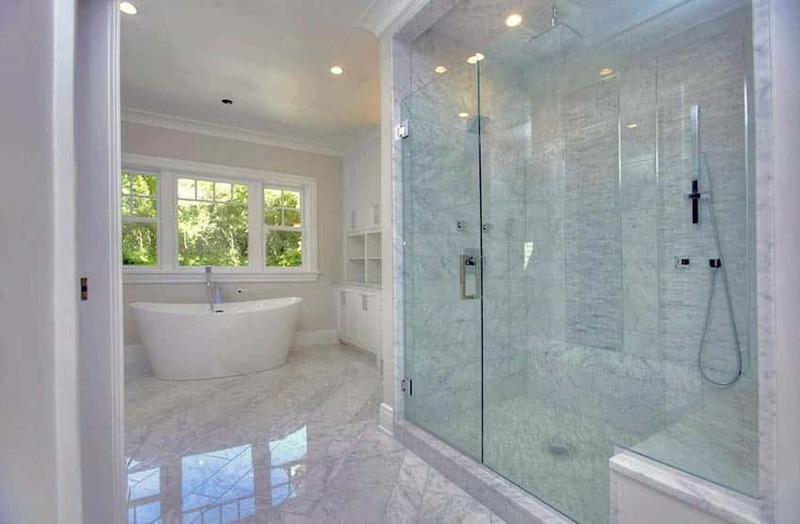 Marble is a natural stone and while that brings its beauty and unique qualities it also makes it susceptible to scratches, stains and can become slippery when using agents to counteract that. Picking the finish of the floor is very important because it is a natural stone. Due to the cons previously mentioned selecting polished or honed marble can play a big part in those factors. Polished – Polished marble is the sleek, shiny, sheen marble that you see glowing in expensive entries one sees in interior design magazines. 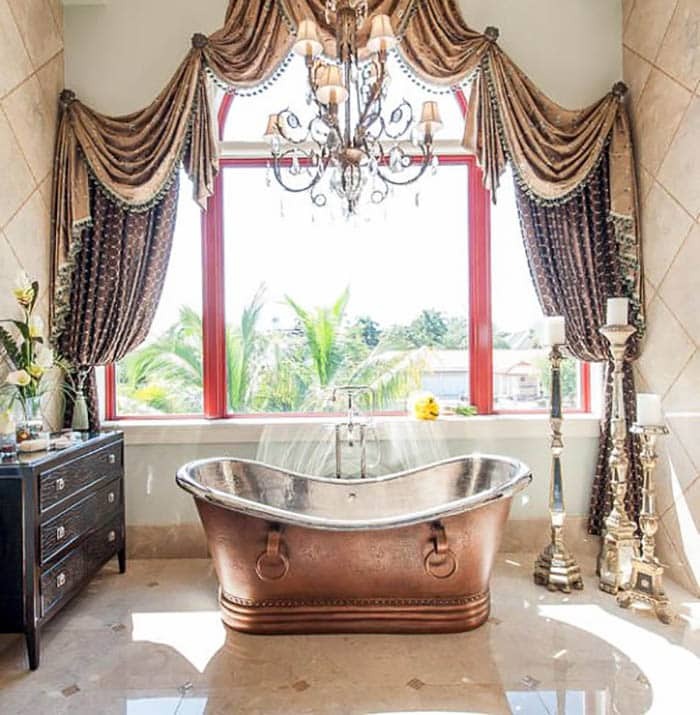 While this looks magnificent it also can cause the floor to become slippery especially when wet, so be prepared to get a sign or some rugs to counterbalance. Honed – Honed marble is still sealed for the safety of the beautiful natural stone but a good proportion less. This can make the slipperiness quite a bit less of a danger. After deciding the materials and finishes for the project, now is time to pick the patterns. There are a variety of choices when deciding and this is where it is most customizable. Some options could be herringbone, brick, regular, repeating, borders, motifs, mosaics, medallions, or even optical illusions! Regular- As the name suggests this is the most basic pattern that can be used on a flooring. This is done by using larger pieces of marble laid horizontally. This method will create a more open feeling, typically used when a space is busier and not wanting to clutter it with more attention. Repeating – A repeating pattern can be as creative or basic as the designer wishes. This can be done by laying different tiles every other piece, or every two pieces, even every three pieces! The only requirement is that it, as the name suggest, repeats. Herringbone- Herringbone pattern is meant to resemble the bones of a fish, for example a herring, once again directly referring to the name (designers really tried to keep it simple when making up the names!). This is done by using rectangular pieces of tile, usually with a 2:1 or 3:1 ratio. This can be done in many ways, either all in the same color marble or switching between rows. Bordering- Bordering is something that can be done in addition to any of the other patterns, all it takes is to add a different shape or color piece of tile around the outside of the pattern. This can also be done to border objects the flooring surrounds, including but not limited to: columns, island, cabinetry, etc. It will give a defined look to the space. Special – If the designer can think it, it can most likely be done. From medallions inlaid in entryways to mosaics in hallways the world is open to new creative bounds. There has even been designers who put so much time and effort into their work that can create 3-D like pieces that can work in grand spaces. The cost of marble will fluctuate with the quality of marble, just like anything else. 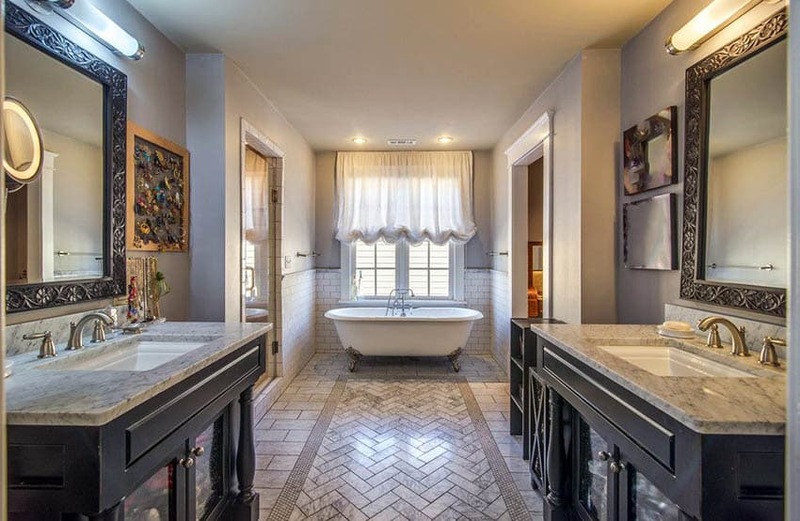 Basic marble tile can start as low as $5 per square foot. Jumping up to a higher grade of marble flooring can double to the price to start at about $10 per square foot. If money is no object, or a project is in need of special marble costs can jump to the $40 per square foot ballpark. Many things can cause the price fluctuation including the grade, size, shape, thickness and finish. Grade – Based on how many inconsistencies, strength, inclusions, and veining are included in the marble can depict the grade and each piece is priced by the grades A, B, C or D. Grade A being the best of the best with the lowest veining, and fewest flaws. 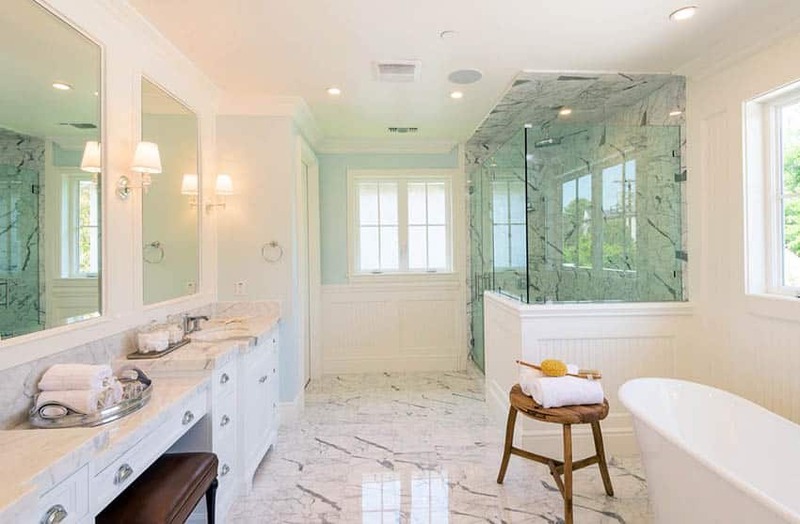 Size and Shape – Typically marble will come in a certain size by manufacturer (ex: 12” x 12” or 12” x 18”). Adding things such as, beveled corners, special sizes or unnaturally large sizes can and will cost a higher price. 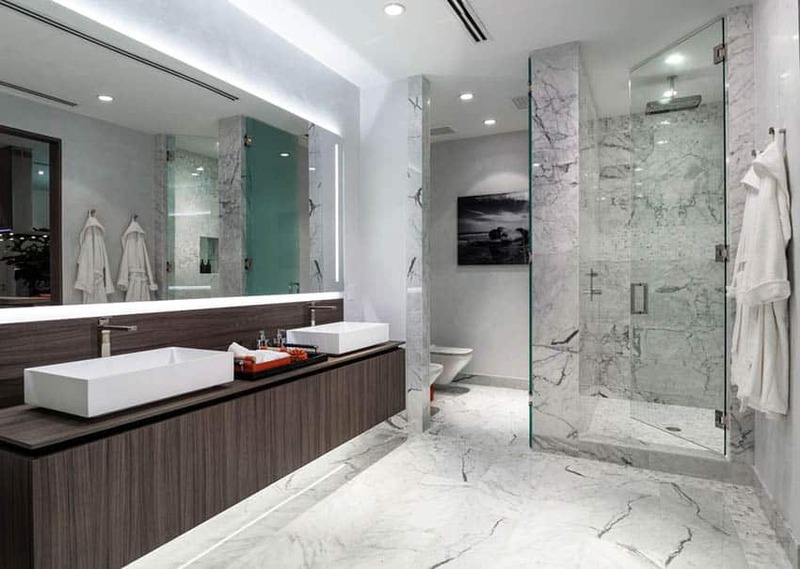 Thickness – Marble typically comes in sizes of ¼” to ¾”, the thicker the more expensive. 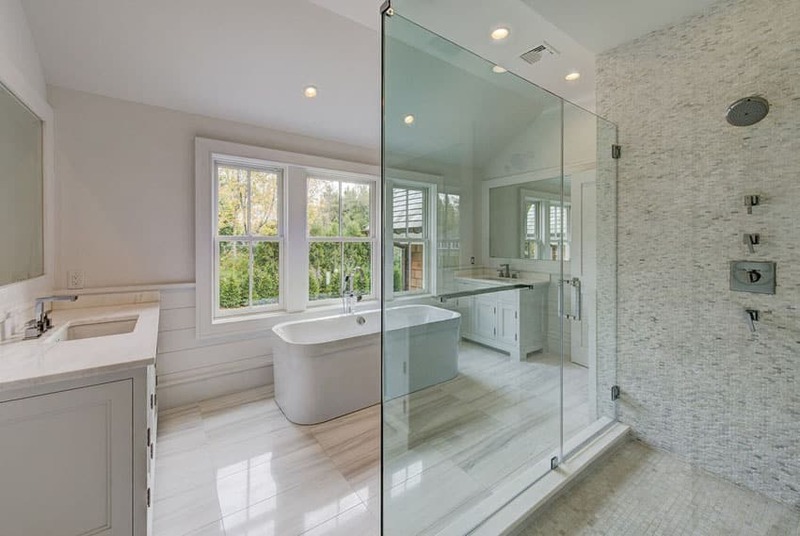 The manufacturer is using more marble therefore has to charge more based on thickness, but that also adds more durability and support to the flooring. 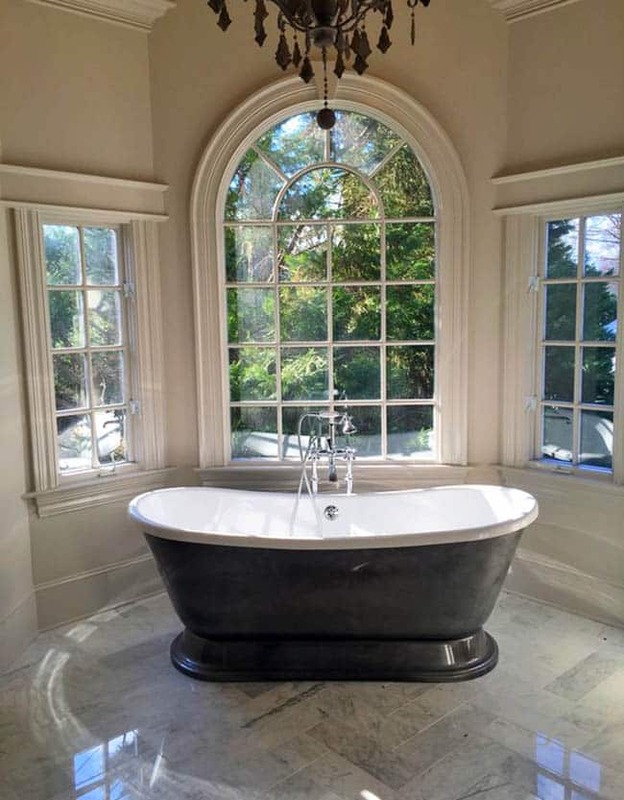 Finish – Polished or honed marble will cost different prices, typically polished being on the higher priced side. Keep in mind the more polish, the slipperier the floor becomes. In addition to buying the piece of marble itself there comes other tasks that need money thrown at it. For example, installation. Typically prices can range from $3- $7 per square for installation. Things can effect that price as well, such as the pattern that needs to be completed, if it is a horizontal, vertical or diagonal installation, etc. This includes mosaics, motifs, and borders, all become more expensive per challenge to the installer. Also to keep in mind, the previous floor will need to be removed as well as any repairs/preparation of the existing subfloor. When hiring contractors, make sure you know what services you are or are not paying for to avoid confusion. Another big decision that needs to be made after choosing marble is whether to get polished or honed marble. Getting polished marble will give a more reflective surface that is glossier and smoother. Honed on the other hand is less shiny and a little rougher. Plus it is a lot more susceptible to staining. First thought is that “why would anyone pick honed” but there are some benefits to honed marble as well. Honed marble doesn’t scratch as easy as polished. When choosing honed or polished it will be good to take into account where you are going to be placing the marble. Overall sealing of marble is a must, and not too daunting of a task, but it is something that is not a one and done job. After installation it is good practice to seal marble every twelve months depending on use levels using a neutral pH breathable sealer product. If sealing the marble is a DIY project at home it is basically the same job as painting walls or staining wood. Only difference here is the product bought, in this case is sealer. Before applying the sealer make sure to thoroughly spray the area using a mild pH-neutral cleanser or commercial stone cleanser. Once sprayed you’ll want to wipe the marble tile with a damp cloth to clean it and then use a dry cloth to dry the area thoroughly. From there you’ll want to apply a good layer of sealer making sure to get the stone wet. Let the sealer soak for 15 minutes and then buff it out with a dry cloth. Let the stone completely dry for 1 hour. After 1 hour repeat the process with the application of a second coat of sealer. After a max of 15 minutes wipe the sealer off. Make sure not to walk on the marble floors for at least 40 minutes after applying the sealer. 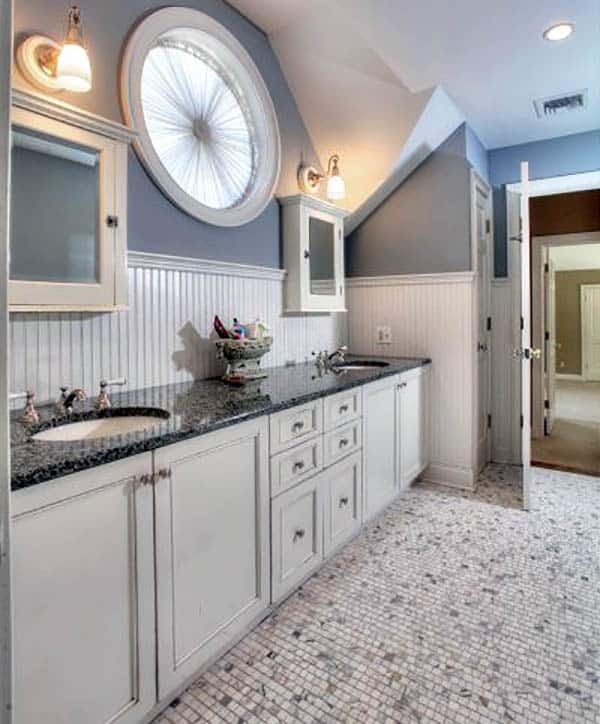 See more bathroom floor tile ideas here.